Russian Musk (Extrait de Parfum) is a new perfume by Areej Le Doré for women and men and was released in 2018. The scent is animal-woody. The longevity is above-average. The production was apparently discontinued. With an argument "ad hominem" a person is attacked in a debate as unqualified to represent their view of things. This is very indelicate and according to pure teaching is of course inadmissible, because it (consciously) aims next to the thing and should only distract from the actual topic. I have certainly thought about what value (if any) should be attached to the argument "ad hirschidem" in the present discussion. It is said that 'Russian Musk' contains genuine Siberian deer musk. And the provider's insurance, which is based solely on limited, authorized shooting by licensed hunters, will probably not only bring tears to the eyes of Russia connoisseurs, but also to the eyes of mere news of persecutors there. So I'm really glad that the batch is out, the commentary and the "ad hirschidem" problem are a good deal theoretical. And in the end I was at least able to get a good "in the matter" from the test for myself - and maybe for others as well. But now finally to the scent. He reminds me astonishingly long time of 'XPEC Original' in the way he performs. This does not seem to be obvious at first. The two are also anything but twins - and it took a good while before I came across them. After all, in 'Russian Musk', the animal side outweighs the animal side by far in front, in contrast to the "floral" or "plantal" side of the elder. In addition, the Russe sometimes looks almost neroli-emphasized fruity-floral, almost like a nimm2 candy. At the same time, the lush bouquet of powerful ingredients is simply similar to the composition in its massive style, without any flat parallel notes. On the contrary, as soon as I want to get to the bottom of my involuntary impression in terms of aroma, supposed, i.e. "formal" boundaries and differences open up - so in the following I will mostly have to leave it at the corresponding feeling. Under the unquestionably needle-like prelude of 'Russian Musk', a closer look at the blossoms is quickly emerging. The link to this is the citrus fruit, but this only becomes clear to me in retrospect. The manufacturer himself refers to the special significance of the Neroli, since his great contribution cannot surprise. Strangely enough, the central animal, the musk, seemed more present on the first test day than on the second. It may be a matter of habituation. A dangerous thing, because 'Russian Musk' has quite a taste in the public eye - and my favourite colleague who diagnoses this is certainly not delicately strung. On the other hand the XPEC is downright gentle, was her conclusion to this phase of my parallel test. The perceived resemblance, however, disappears when the younger one undergoes a gradual change to an amber scent. Sweetie comes through, dabbed with honey smoke. The fact that the allegedly diverse varieties of oud are largely hidden from me does not make me sad, however: Whoever uses real musk will hardly be squeamish with oud. Nevertheless 'Russian Musk' is a successful fragrance. I thank Garcon for the sample. Once again on the subject of musk in the superordinate sense. The test of 'Russian Musk' might have shown me real musk for the first (and maybe last) time. Therefore, my conclusions may have to be treated with caution. Nevertheless, I personally cannot deduce from today's candidate (honestly!) the added value of Musk Animalism that could be the last bastion to justify the use of the natural substance. My conclusion is that the range of laboratory substitutes for this particular cattle is so wide that other things would have worked equally without olfactory smears. After all, scents like Lutens' 'Muscs Koublaï Khän' or Malles' 'Musc Ravageur' show that more or less sublime stench goes without a contribution snatched from the bodily stags. In his impressive commentary on Lutens, dear colleague Couchlock explains exactly this in a comprehensible way. Let's believe him. A great Chypre, which is transforming into an oriental, is animal, but without overwhelming, then it becomes the greatest I have ever tasted and have. 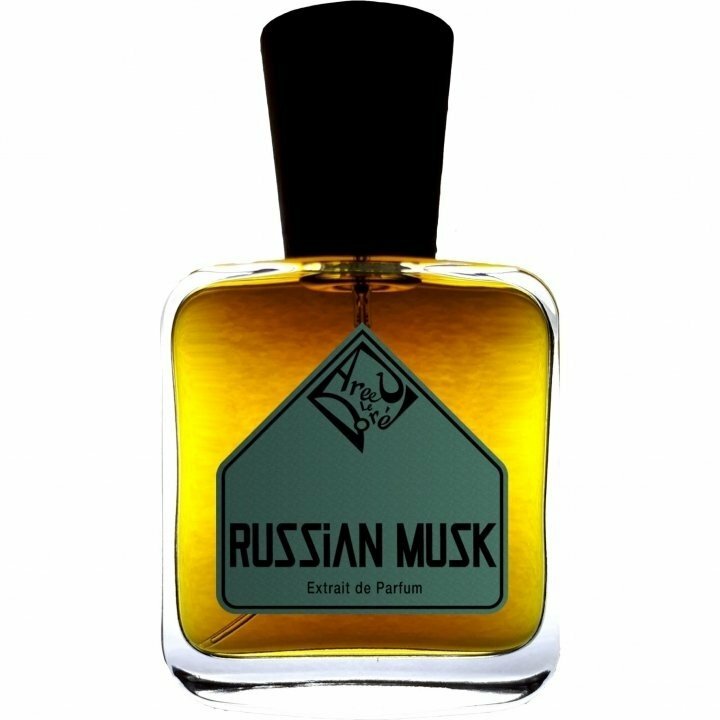 Write the first Review for Russian Musk (Extrait de Parfum)!